July marks the middle of the year, which means half of the music releases scheduled to arrive in 2015 have been released. 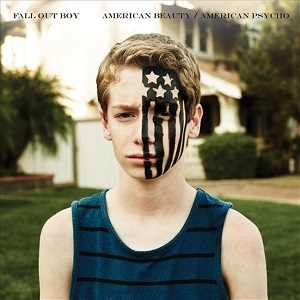 When it comes to rock album sales, Fall Out Boy‘s “American Beauty/American Psycho,” is one of the 10 best-selling albums of 2015 thus far. That album has pushed 478,000 copies since it arrived on Jan. 20, putting it at No. 8 on the tally of the best-selling albums of the year, reports the 2015 Nielsen Music U.S. Mid-Year Report. When Billboard’s album metric is factored in, which encompasses traditional album sales as well as streaming and digital track sales, “American Beauty/American Psycho” sold 813,000 equivalent album units, making it the No. 10 release of 2015 so far. Looking at singles sales, alternative tunes Walk the Moon’s “Shut Up and Dance” and Hozier’s “Take Me to Church” were both inside the top 10 for the year so far. “Shut Up and Dance” came in at No. 6, while “Take Me to Church” took the No. 8 spot. Rock albums topping the vinyl charts this year so far include Arctic Monkeys’ “AM” at No. 3 (although it was released in 2013), Alabama Shakes’ “Sound & Color” at No. 4, Pink Floyd’s “Dark Side of the Moon” at No. 7 and Hozier’s self-titled debut at 10.